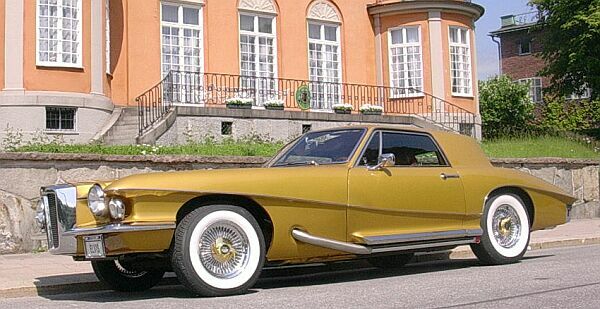 Stutz Blackhawk 1971, preowned by George Norman, jr. 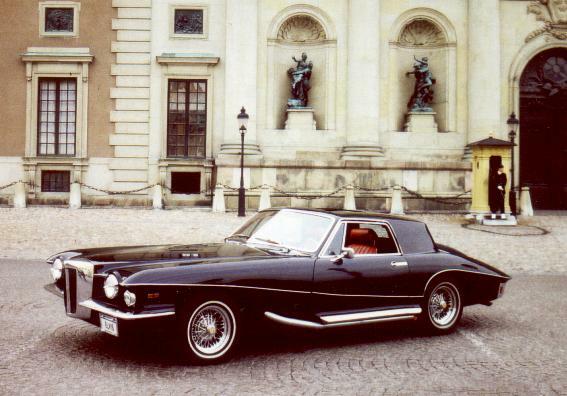 This 1971 Blackhawk is owned by Bengt Dahlgren, a Stutz enthusiast in Sweden. 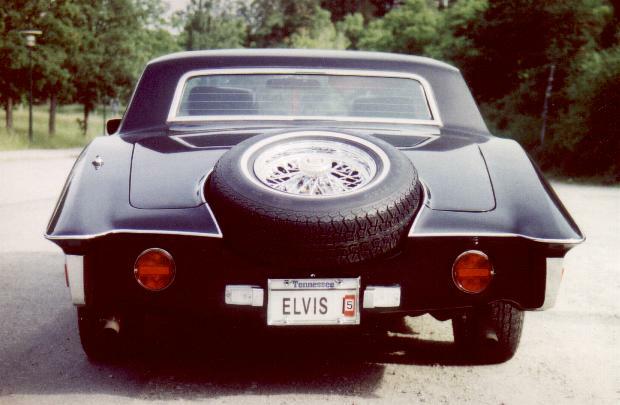 Before he bought the car, it toured through Europe as a part of an Elvis-Memorabila Road Show. The photos show car #13! 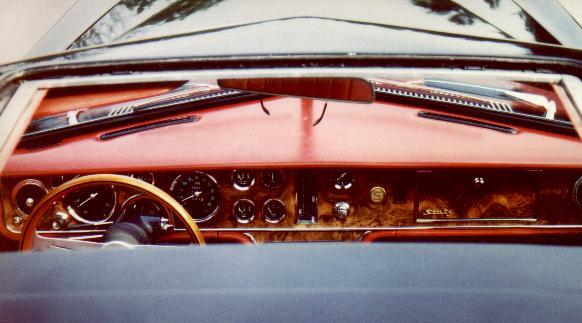 Black with red interior is definitely a good looking combination. 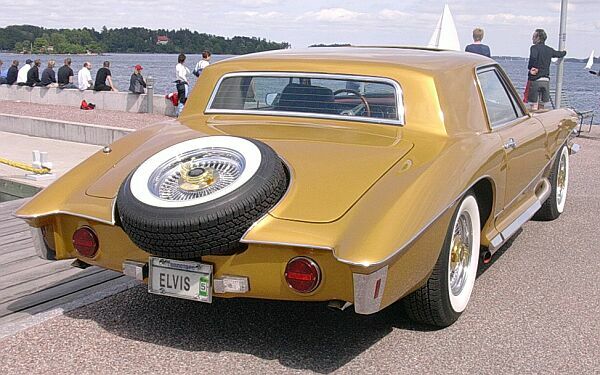 Perhaps this combination was chosen for the Elvis-Road-Show. 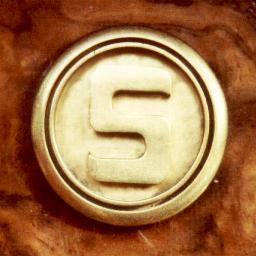 Originally the car was painted in beigemetallic, with beige interior. These pictures were taken in Stockholm -- some of them in front of the palace. 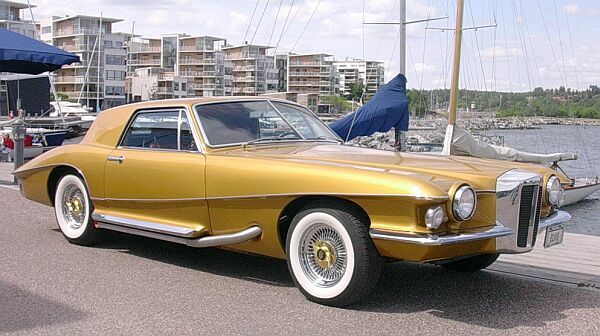 The golden color, in combination with the white-wall-tires makes the car looks very classic. 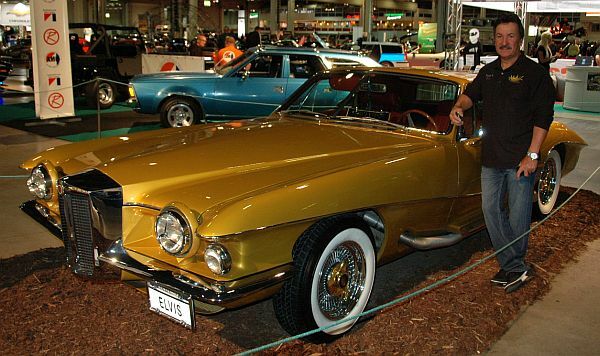 Do you want to see some photos, when the current owner met "The King"? and in a Swedish magazine for collectors of 2007. 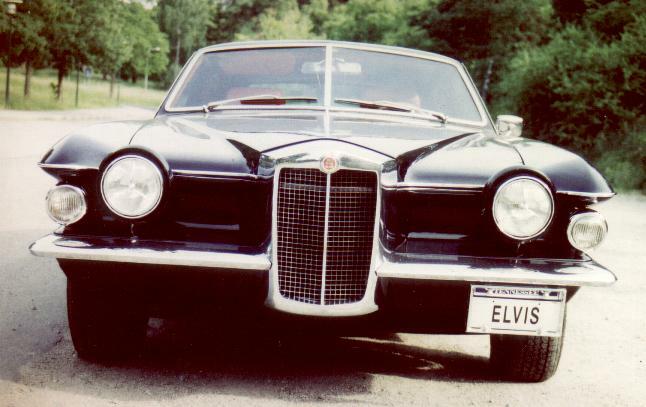 In September 2009, I got in contact with Erik Nielsen, who owned another 1971 Blackhawk. 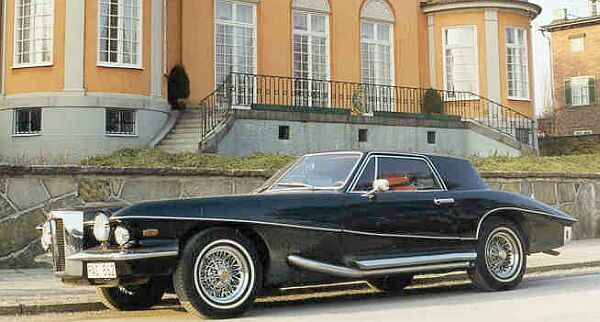 He bought Bengt's car from second owner, Mr. Hamberger, in early 1978. 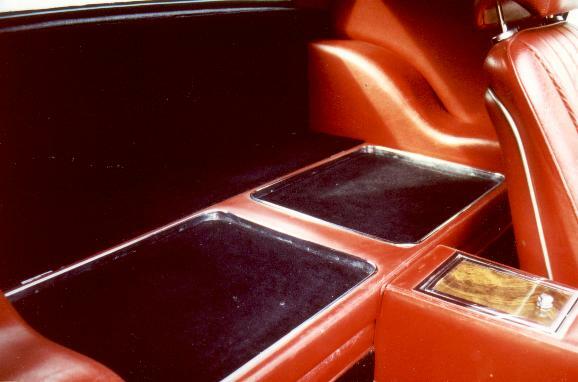 In 1980, he sold it to Mrs. Giles, who drove the car quite often. 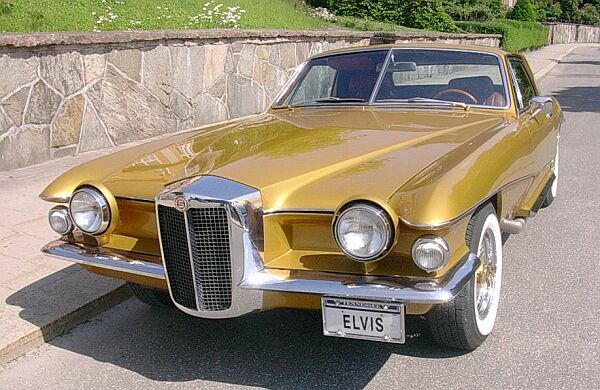 In about 1982, the car got damaged and stayed in a restoration shop for almost a year, than Mr. Nielsen lost contact.